- Offering affordable residential, commercial, and home maintenance services to fix your yard up right. - Best professional and highly rated company, in Charlotte NC. - Specializing in repair, installation, and winterization for local residents. - Every space is different, let our custom designers create something special for you. - Licensed, bonded and insured. - Trusted by nearby homeowners and businesses alike. - Wondering about price or cost? Free estimates available. - Highly-rated local service contractors - see our BBB reviews! - Top of the line and affordable. We all need an irrigation system expert when it comes to an irrigation installation. Irrigation systems are very different from ordinary plumbing. It takes a lot of expertise in lots of different areas to succeed in doing good irrigation work. That is why you need a trusted and reputable contractor in your area who can offer a helping hand. Luckily for you if you live in the Charlotte area of North Carolina our team here at Charlotte Irrigation Systems has the skill and the expertise to meet all of your irrigation needs. We have been in the irrigation game for long enough to know that there are several ways to build a company, but at the end of the day the best and most sure-fire way of generating a great reputation is to deliver top-quality service every time you get the opportunity. There are a few ways that we make sure that we are delivering great service to our clients. Firstly, all members of our team are very passionate and exceptionally well-trained individuals. We make sure that things stay this way through a commitment to regular training and by only using the best in technology. First off, our tools are always state of the art, fully-standardized and licensed equipment. In the rare event that we need to lease equipment from another organization we will always do so from a company that has a great reputation like we do. Secondly, we cultivate an environment of exceptionalism every day by incentivizing hard work. Thirdly, we remain very community-minded which gives us an impetus to engage with our customers on a human level rather than just in a business relationship-type of way. The services that we offer have grown organically over time to seek to fit all of your irrigation needs. Our services range from repair and fix-up, to inspection, winterization and installation services where we put in new gear for you and we make sure that the gear you have is installed properly. In the rare event you have a service that has to do with irrigation which you don’t feel is met by our standard service list then we will be very happy to have a discussion with you about what the problem is and about how we can help. We always love hearing from new customers and from previous ones too who have new work for us or ongoing issues that they would like advice on. All of our contact details can be found here on this website. Well, we have a great service for you here. Whenever issues arise with your irrigation system we are able to give you the support you need for your unique irrigation problems. 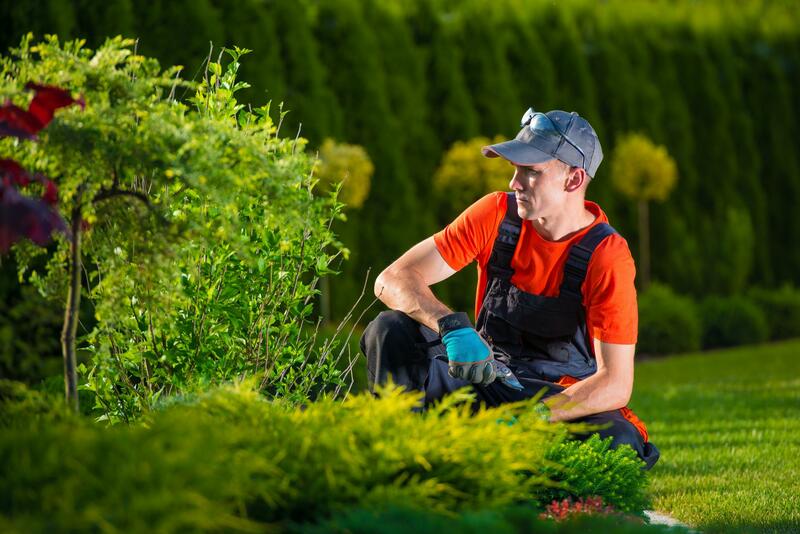 We are proud to operate a full irrigation repair service that will meet all of your needs. We will never leave you high and dry! Charlotte Irrigation Systems is here to handle all your irrigation installation needs. Whether you have bought a system from us or you are about to install one from somewhere else, get in touch today to find out how we can help you. Two services rolled into one. We want to reiterate the point here that we will be with you from point A to point B in your irrigation system journey. We will supply you with a great system as well as making sure it works for you. Backflow is only an annoying problem if you don’t make sure that you get the pros to help you out! We know how the valves work and how to make sure you get your pressure back with the problem fixed for good! Summer, Spring, Fall… no, you aren’t finished yet! Winter is a difficult time for gardens and for irrigation systems in general. The enemy is frost. Make sure you insulate your system and protect it from breaking by following our tips and guidelines. Great for style, for security and for personal safety. These beauties are perfect to extending summer nights and keeping your home safe as well. Get in touch today to find out more about our landscape lighting service. You will not be disappointed! “My friend’s lawn became flooded when it shouldn’t have been. It was a bit of a shock for him and he didn’t know what to do about it. I put him onto Charlotte Irrigation Systems who are great irrigation contractors in NC. They performed testing including backflow and generally helped with his problem. It was solved before long. Great work. 10/10.” - Jurgen K.
We like to make sure that all of our customers have an easy avenue to contact us any time that they wish. You can send us an email at any time and as soon as one of our team members can they will respond ASAP. You can also wait for our office hours (listed on the website) and you can ring us up for a chat. Here at Charlotte Irrigation Systems we know how annoying it is to contact a company only to have to jump through hoops before you can speak to someone real. We make sure that you will always be speaking to a real person on the other end of the line who will be able to advise about your enquiry, organize an inspection and provide you with any answers to questions that you may have.